There are still lots or ways to inject colour and fun into your outdoor celebration without using helium filled balloons. 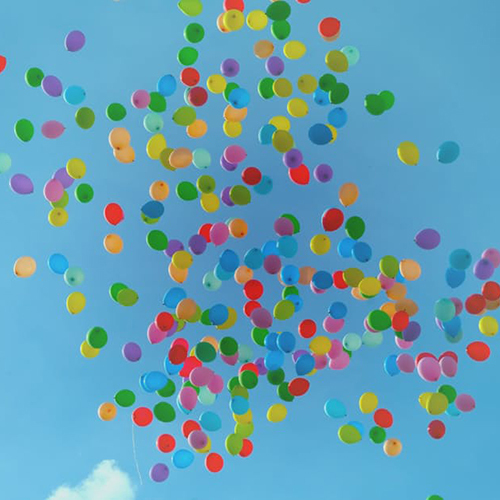 Bega Valley and Eurobodalla Shire Council’s recently banned the release of any balloons from Council reserves and events, going one step further than earlier restrictions from the NSW Government. Eurobodalla Mayor, Cr Liz Innes said the move reflected the importance of the local environment. “Our unspoilt marine playground is key to our tourism industry, it’s why people come here to holiday and live, as land managers we have a role to play in keeping it that way,” Cr Innes said. Bega Valley Mayor, Cr Kristy McBain said that the ban will have greater impact now that both Councils had taken the same action and would be encouraging others to follow the example. “The impact of litter on our marine environment is well known with 663 species affected worldwide, creatures we know and love end up tangled in this mess or ingesting it, dying of starvation, suffocation and strangulation,” Cr McBain said. The necessary guidelines are being developed at the moment so that the new requirements are clear to people and organisations keen to use Council reserves for their events. The local ‘no balloon releases’ policy supersedes a State Government ruling limiting the release of balloons to twenty. “We wanted to go beyond that, the fact is that one balloon released is one to many, the rules in both shires now reflect that,” Cr McBain said. Fines for ignoring the new policy will range from between $80 and $750. “There are some terrific alternatives to using balloons that still add colour and atmosphere to your event, including bubbles, flags and pinwheels, bunting, paper pom poms and lanterns,” Cr Innes said. Bega Valley and Eurobodalla Shire Council’s will continue to work with the community as the changes are implemented.